Vicky Westra rocks gently in her chair as a steady buzz cuts through the silence. Buzz, click. Buzz, click. Buzz, click. It goes on and on for hours, turning into white noise as conversations turn to life, death, hockey, family and cancer. A tube is connected to Westra’s chest. An intravenous pump slowly drips chemotherapy drugs into her system. Buzz, click. Buzz, click. Buzz, click. If you met her anywhere else – at her son’s hockey game, at a restaurant, at the park – nothing in her demeanor, bright personality or wide smile would suggest anything is wrong. A slight crack and softness in her voice is the only indication of her struggle. Westra has Stage 4 breast cancer. There is no Stage 5. Her cancer has aggressively spread to her spine and liver. But she’s survived six years after her initial diagnosis, getting treatment, living, going to her sons’ hockey games, smiling, writing a blog, connecting with her family and friends. She’s unsure of what the future holds, or how much of it remains. But she is hopeful. She’s hopeful the chemicals coursing through her body will knock down the cancer day-by-day. Hopeful her hair will grow back long and thick. Hopeful for more hockey, more stress-free days with her husband and boys and more chances to tell her story. She’s hopeful for a miracle. What if that miracle is beginning to take shape? Kalpana Katti wouldn’t call the project she leads a miracle. But it could be for patients like Vicky. Katti and her colleagues at NDSU are scientists – chemists, engineers, pharmaceutical researchers. They work each day in nondescript labs, designing experiments, testing ideas, searching for a breakthrough. 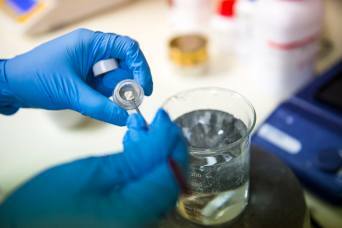 They are collaborating to significantly reduce testing time and costs for new cancer treatments, to develop new cancer drugs and drug delivery systems, accelerate patient-specific, targeted treatments and to ultimately cure breast and prostate cancer. Vicky, wife, and mother of two boys, was diagnosed with breast cancer in 2011. She’s endured several surgeries and rounds of chemotherapy to help fight the disease. Vicky Westra, 51, of Moorhead, MN, passed away on Saturday, October 13, 2018. 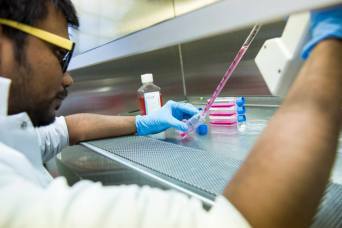 The Center for Engineered Cancer Test Beds includes renowned NDSU scientists, as well as graduate and undergraduate students. Prostate cancer is the most frequently diagnosed cancer in men. There are more than 1.6 million new cancer cases each year. One in eight women will develop breast cancer. One in seven men will be diagnosed with prostate cancer. And breast and prostate cancers are the most likely to spread to a patient’s bones, making treatment difficult. That’s where Katti’s project comes in. She helped pioneer a way to use clay to generate material that closely resembles human bone. That innovation will be used as the foundation of the NDSU Center for Engineered Cancer Test Beds. 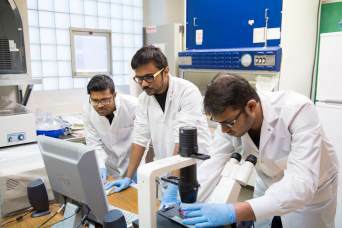 The center is part of the university’s Grand Challenge Initiative, which focuses NDSU’s research expertise and resources on solving some of the world’s most complex problems. The center – slated to begin work this year – includes some of NDSU’s top researchers. 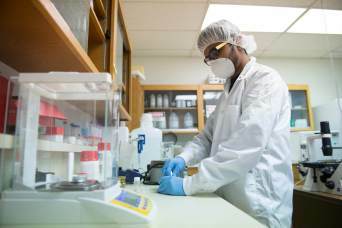 Scientists from the College of Engineering, College of Health Professions, College of Science and Mathematics, College of Business and the College of Arts, Humanities and Social Sciences will develop ways to build the test beds, manufacture drug delivery systems, market the innovations and gauge reactions of patients and the medical community. 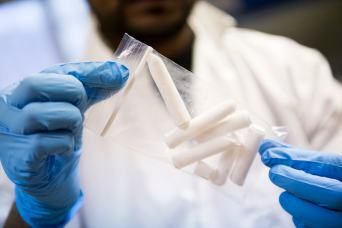 Scientists will coax bone from clay, add cancer cells, create cancer tumors and test new drugs. They’ll also study how the cancer spreads to bone, looking for ways to stop the process or, better yet, wipe out the cancer completely. Katti and the team are eager to begin. The Center for Engineered Cancer Test Beds could help save millions of lives worldwide and billions of dollars. A patient’s cells are placed on a porous scaffold made from clay. The cells create a material which closely resembles the patient’s bones. 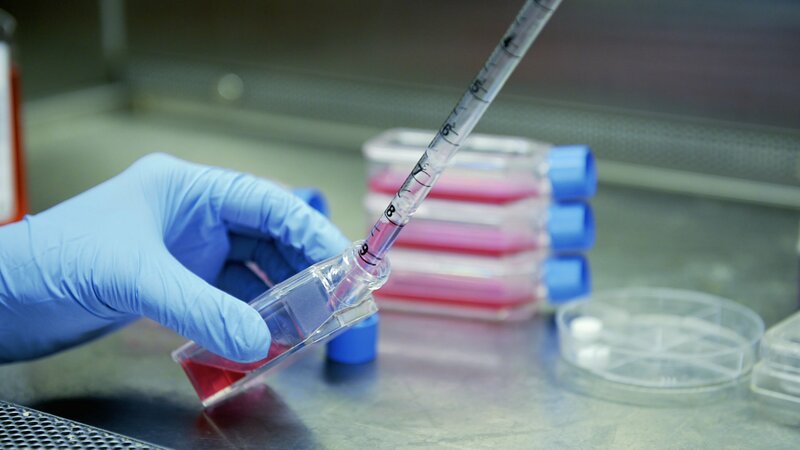 Cancer cells are introduced to the patient’s artificial bone to mimic metastasis. 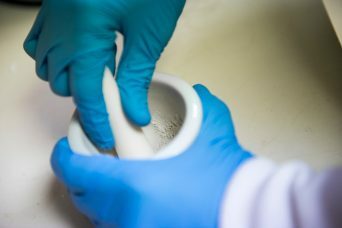 Existing, new or experimental drugs are used on the cancerous bone fragment to determine the most effective treatment. Buzz, click. Buzz, click. Buzz click. The sounds of the machine remain steady, interrupted very briefly by a nurse changing the IV bag. “Do you have any plans for celebrating your 50th birthday?” a man asks Vicky. Then a huge smile crosses her face. Westra raises her clenched fists and moves her head up to look toward the ceiling. The goals of the Center for Engineered Cancer Test Beds are enormous. Provide relief to patients like Vicky. Speed up the time it takes for cancer drugs to get to market. Stop the disease even if it has spread to bone. Cure cancer. The effort includes renowned NDSU scientists, as well as graduate and undergraduate students. The students, Katti says, will be a vital part of the project’s success. If the center can help reduce the 15 years and $2.5 billion it takes to get a new cancer drug to market, it will have an incredible global impact. As she continues, Vicky becomes more expressive with her hands. They move up-and-down, back-and-forth. The need for innovation, like the Center for Engineered Cancer Test Beds, is clear to her. 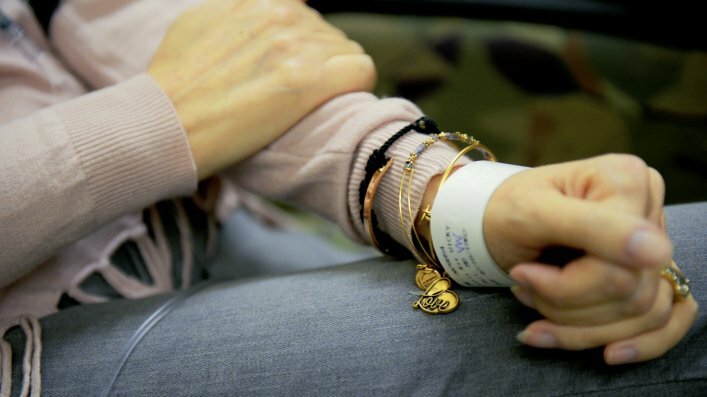 She’s met mothers, daughters, fathers, sons, neighbors and strangers who are battling cancer with tenacity and grace. They want, more than anything, the luxury of living their lives and growing old. Vicky pauses for a moment to think about what the success of NDSU’s center could mean for cancer patients and their families. Fewer side effects. Less pain. Lower costs. More and better treatment options, faster. A cure. Her eyes widen and eyebrows raise.